needed to find something in the house to cook in the dutch oven. I located a frozen chicken, and some old potatoes. With some onions, garlic, ketchup and coca-cola it put together a nice dinner. I did throw in some dried jalapeno peppers, actually it was probably one or two too many (I enjoyed it, but everyone else thought it was a little HOT). Ignore the fact that I used the microwave to thaw out the chicken, and cheated by nuking the potatoes some it was all done in the dutch oven. Mix the coca-cola and ketchup together, add the potatoes to the mixture. Put a small amount of oil in the bottom of the dutch oven followed by the pieces of chicken. Add the onions, garlic and peppers to saute while searing the chicken. Sear all the sides of the chicken on a good hot bed of coals. After all the chicken is seared, add the cola, ketchup and potatoes. This will allow the chicken to cook more thoroughly. Keep mixing the contents of the dutch oven as it cooks. Simmer until the chicken is cook through and the potatoes are soft. 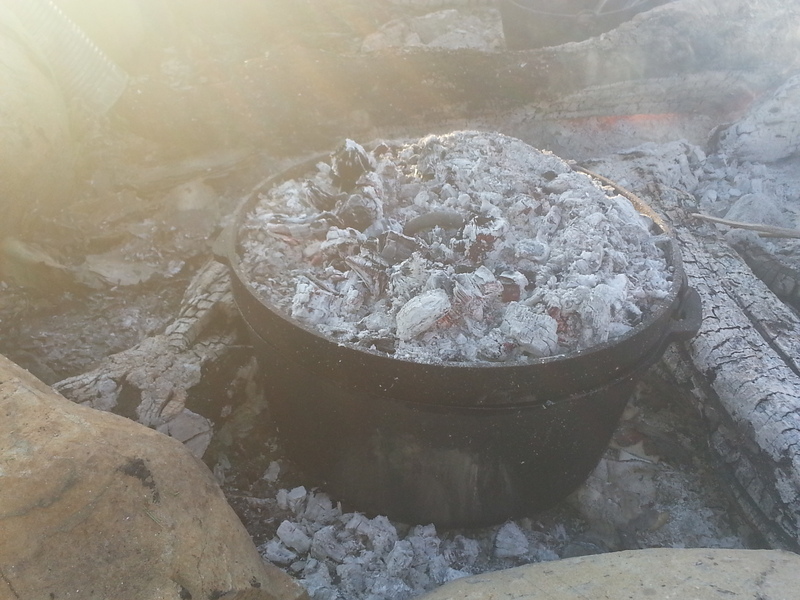 Place the dutch oven somewhere that it’s not directly on a lot of hot coals but cover the top with hot coals. This will help heat the contents of the dutch oven and not just burn them. Turn the dutch oven and lid periodically help with even heating. 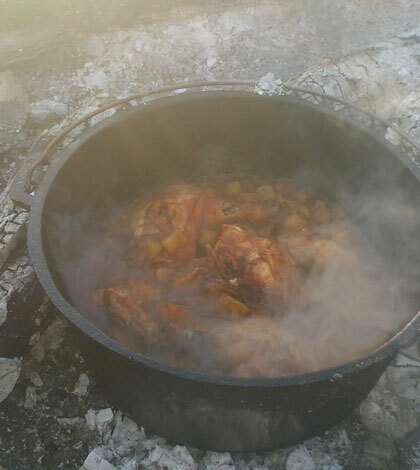 We’re working on a more detailed post on dutch oven cooking, coming soon….